What are the use cases for this product? Who is the buyer? How are they likely to buy? If your product has 100 small features, you probably don’t want to roll it out that way. It might make sense to group these features into ‘buyable sets.’ For example, the basic package could consist of 60 small features, while the silver package has those 60 + another 10 features and the gold packages has those 70 features + another 10. Then the remaining 20 small features can be purchased ala carte. Or the features might be associated with different buyers. For example, the Supply Chain buyer needs 50 features and the Warehouse manager needs 40 features, some of which overlap with the Supply Chain buyer, some of which are unique. The Shipping manager needs a different grouping of 40 features and so on. Product Management needs to understand how to group the features into sellable units. This is critical especially when it comes to marketing materials and sales enablement. A complicated product with too many options can overwhelm a sales person to the point that they ignore it. Complicated products are challenging when it comes to value propositions and points of differentiation. If product management can define the product around use cases and buyers, the Go to Market plan can come together easily. Sometimes people who aren’t in Product Management think that defining a product is easy and straight-forward. I mean, how hard can it be? Those of us that live (and love) Product Management know that sometimes the easiest questions are the hardest to answer. How do you define this product? Well, pull up a chair and let me tell you…. The second blog in this series involves Pricing. Hope you enjoy. 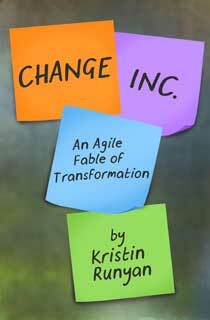 This is a very informative series Kristin. Can you point out to some other resources. I would love to learn more about product development, its rollout and the samll details that should be taken in to account while doing so.